Do you sing or play an instrument? Are you interested in arranging a piece of video game music for a full orchestra and choir? Are you at least 18 years old? We’d love to hear from you! The Washington Metropolitan Gamer Symphony Orchestra is always open to membership requests. We have immediate openings in our choir and string sections. Please read through our fast membership facts below, and submit your information through the form at the bottom if you’d like to hear more. Rehearsals are held on most Monday evenings in the Rockville, MD, area. Rehearsal times are typically 7:30 to 9:30 p.m, though may shift at times for sectionals. Membership fees are $25 per concert season. 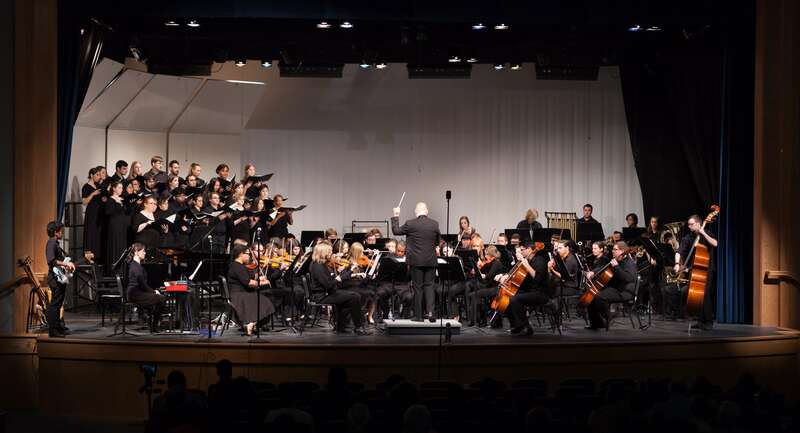 WMGSO performs an annual spring and fall concert series, with additional opportunities for full ensemble and small ensemble performances throughout the year. Once you sign up, our Ensemble Manager will contact you to schedule a date to attend one of our rehearsals if there are openings in the section you'd like to join. Just before the rehearsal begins, you would play through a passage (provided in advance) from our repertoire for the season, with the music director, section leader and ensemble manager (or deputy conductor). During the rehearsal, you will meet your section leader and perform with the ensemble as if you were a regular member. This is our chance to hear what you are capable of, and your chance to get a feel for the ensemble and see if it is right for you. After the rehearsal, we will let you know the result of your audition or whether we need to schedule another one. If WMGSO does not have openings for your primary instrument, it may be possible for you to join on one of your secondary instruments, or as an alternate player. We will be happy to notify you as openings become available. Interested in submitting an arrangement for WMGSO? Interested in joining WMGSO? Please fill out the following form and we will contact you with additional information.